This week’s The Gallery prompt of Togetherness nearly had me stumped. I was doing my usual browse through my photo folders and was close to giving up for this week. I don’t take many pictures of people, and the ones that do have pictures tend to have only one person in. I couldn’t even thing of an abstract take on the prompt, and then I found this photo and wondered how I could have possibly forgotten it! 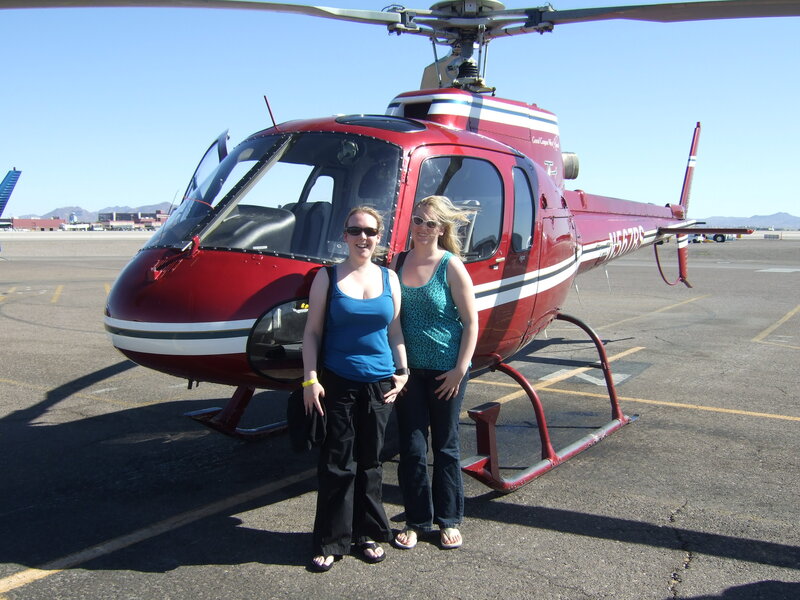 This was taken just after me and Gemma had returned from our Grand Canyon Helicopter and Ranch Adventure. It was a brilliant day, seeing the Grand Canyon was breath taking and then spending the time on the ranch was just perfect considering my love of cowboys. Seeing this photo again has brought back a lot of happy memories. Previous Post Book Review : Leviathan by Scott Westerfeld. Next Post Book Review : A Hidden Affair by Pam Jenoff. Something I’ve always wanted to do. You must have had an amazing time. It was brilliant, I’d definitely recommend it. What a perfect example of togetherness! Love it…and what a super adventure! Well that’s a pretty good thing to do Together! I’ve been there & loved it, but I didn’t get to take a helicopter trip. Next time, maybe? I’d definitely recommend it – the views are impossible to describe they’re just so amazing. I love how you’re dressed alike, too 🙂 Always wanted to see the Grand Canyon — someday! Yes, I hadn’t realised that until I posted it for this 🙂 It’s definitely well worth having on your to do list. I definitely plan to do it one day. And also the scary-looking Skywalk, too. I’d love to do that. We flew past it and I couldn’t believe how tiny it was compared with the scale of the Grand Canyon.